Hello. I saw your listing on Moveandstay for The Executive Centre - Sydney, 1 Bligh Street: from 27 April 2019 to 29 April 2019 I like to learn more. 1 Bligh Street combines cutting-edge design, technology and sustainability. Together with the highest quality contemporary fit-out, it is easily the most prestigious serviced office location in Sydney. Being a 6 Star Green Star - Office Design v2 Certified rating winner, the highest Green Star rating score in Sydney/NSW, it allows your company to significantly reduce its carbon footprints. 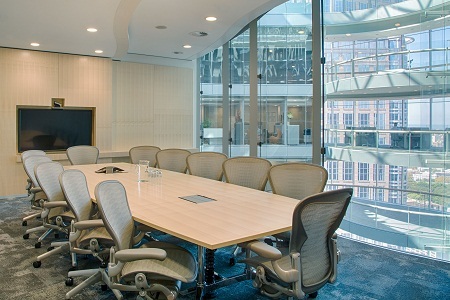 The Executive Centre 1 Bligh Street is the best depot for your Sydney business. 1 Bligh Street is the next generation of premium-grade office space located in one of the world most enviable locations. This centre is ideally situated in the heart of Sydney financial district and is less than a 5-minute walk to any of three major rail stations as well as the famous Sydney Harbour, with numerous bus stops and ferry terminals nearby.